Congratulations to Melanie Rime who won first place in our table runner pattern writing contest. She received a gift basket full of quilting supplies for her efforts. Look for Melanie's pattern - Mike's Braided Star - to be available for sale at the shop soon. It's named for her son who is in the service. Open 12 noon - 4 p.m. 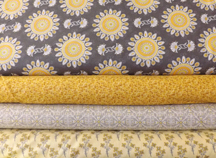 This soft gray and yellow collection arrived last week. The colors in this new panel are so vibrant. Looks like where we live! This new dinosaur panel just arrived along with several coordinating fabrics. Wouldn't this look cute as a wall hanging in a child's room? 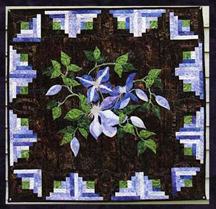 We have kits available for this beautiful wall hanging. You can also make four small wall hangings if you prefer. See the sample at the shop. As usual, the little image you see here just doesn't do it justice. 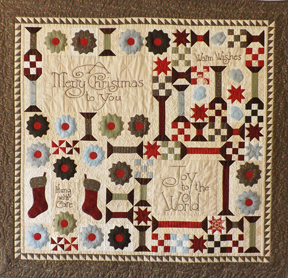 We also have in four lines of beautiful Christmas fabric and other kits in stock. Stop by the store soon for the best selection. 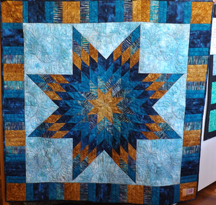 The Lone Star patterns for the class that will be taught by guest teacher Janet Humphrey at the Bare Bones Retreat on October 3 and 4 have arrived. They are available in two sizes. If you raised your hand at the last meeting please come by to pick up your pattern. 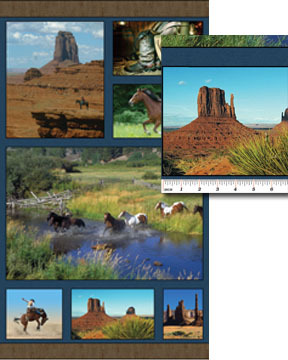 We ordered a few extras and will hold patterns for the number of people who indicated interest until September 25. These Women Know Their Colors! Did you take the color challenge that was in the last newsletter? The three lowest (best) scores submitted were from . . . These three participants (as well as our own Cyndi Foote) all scored in the single digits. Bravo! If you missed doing on the online color test click here to take it. Very interesting and fun.